House soccer players, U8 and above, are provided the opportunity to play at a more competitive level in an All Stars Tournament at the end of each Fall and Spring season. All currently registered VYS House players are eligible to play, if selected. No carded Travel Players can participate in these recreation-oriented tournaments. If a coach wants to participate as an All Stars Coach, he/she should fill out the online All Stars Coach Application. which will be reviewed by the appropriate division Commissioner. The Commissioner will make a decision on who will be that division’s All Stars Coaches and Assistant coaches. Questions about All Stars, should be forwarded to the VP of House Soccer. The following objectives are adhered to during the player selection process. Form All Star teams in a transparent manner that minimizes disappointment for the children. Each child U8 and above who has registered with VYS House Soccer during the regular season will be provided the opportunity to be considered for the VYS-sanctioned All Stars Tournaments in the area for U8 and above divisions. VYS will endeavor to form as many All Stars teams as feasible in light of the availability of slots in tournaments and the number of qualified volunteer coaches. As a general rule of thumb, only about 20 percent of the children in any given age division will be selected to participate in the tournament. The All Stars season is in addition to, and not made part of, the regular House seasons. VYS supports and encourages player participation in All Stars Tournaments each season. Such tournaments are highly competitive and, therefore, require a selection process for both players and coaches. VYS may sponsor at least one team from each age group to participate in an All Stars Tournament at the end of the season. Anyone seeking to coach an All-Stars team must submit an online application, which will be reviewed by VYS House Commissioners. If a Commissioner is seeking to coach an All Stars team, then the application will be reviewed by the VP of House Soccer. The process for selecting All Stars players must be approved by the VP of House Soccer in advance of the All Stars season (see player selection process below). Each participating team shall bear costs or fees, reimbursable to VYS, which generally includes registration and uniforms. All Stars team practices shall not interfere with, nor take priority over, regular House practices and games. Tournament player passes are to be issued by the VYS Administrator. Tournament rules are to be determined by the club hosting the All Stars Tournament. The formal player selection process should not begin prior to the All Star coaches meeting, which will typically be held in the fourth week of the House season. Player selection is ultimately the decision of the selected All Star coaches and the appropriate division Commissioner, subject to the following guidelines and consistent with demonstrating consideration of the feelings and best interests of the children. It is to be understood that children demonstrating superior talent and skill, combined with traits of sportsmanship, fair play, honesty, leadership, dedication and coachability are the primary candidates for selection. Sportsmanship is a major part of any game and should be emphasized. All Star teams represent the entire VYS organization when participating in any endeavor, especially regional events such as All Star tournaments. Therefore, it is especially important that all VYS participants distinguish themselves by consistently displaying sportsmanship at all times -- during the VYS season as well as during the tournament. During at least the first four weeks of the House season, the Commissioners should obtain evaluations of opposing coaches as to those players that exhibited the highest levels of talent, skill and those traits set forth above. Commissioners should observe the players during House games in an effort to identify primary candidates for selection as All Stars. All Star coaches should observe the players during the course of regular season games. House coaches should nominate their own players that they believe merit consideration for selection as an All Star. Division Commissioners should endeavor to have one knowledgeable observer from outside the division evaluate the players and provide input. Through this process, the All Star coaches and the division Commissioners should have data on All Star candidates from numerous sources. Before the end of the seventh week of the House season, the All Star coaches and their division Commissioner should meet to select and form their All Star teams. Keeping in mind that the focus should be on selecting those players that exhibit outstanding game skills, leadership and sportsmanship, All Star coaches should try to include at least one player from each team if at all possible, and this should be a factor in making close calls. If there is more than one All Star team in a division, the Commissioner and All Star coaches should form their teams based on an equity system -- whether by a draft or otherwise -- to ensure equal talent across teams. In other words, there should be no “A” team and “B” team unless the VP of House Soccer specifically approves such a set-up. Sons and daughters of All Star coaches should be automatically included on the All Star roster unless the coach specifically turns this down. Once the All Star players are selected, the division Commissioner or the All Star coaches should notify the parents of their child’s selection. A roster of All Star players should be provided to the other coaches in the division so they know who was or was not selected as an All Star from their teams. All Star coaches are required to play every player at least one-half of each tournament game. The players selected as All Stars should be those players that are not only the most advanced players, but also dedicated to the game. VYS does not want to frustrate those players chosen as All Stars by selecting them for a team and then having them play less than one-half of each game. This factor should be kept in mind when determining the size of the All Star roster. The objective is for VYS to form its All Stars teams by the end of the House season. In preparing for the Tournament, House team practices will take priority over All Stars team practices, should there be a conflict between the two. All Stars Coaches should be familiar with the Tournament materials that will be provided by the VYS Administrator to ensure that all administrative elements needed to send an All Stars team to the Tournament are completed on time. The VP of House Soccer may modify these guidelines prior to the All Stars Coaches meeting each season to take into account Tournament rules or other changed circumstances. 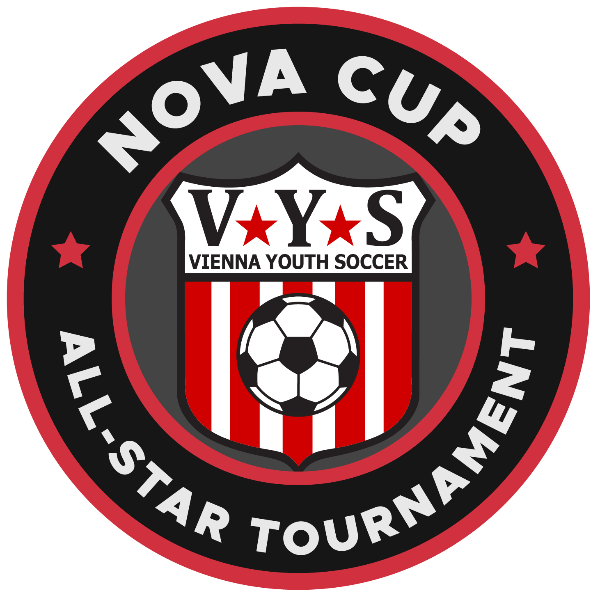 June 2019, VYS hosts its second ever All Star Tournament: NOVA Cup! Follow along at: http://vys.org/house/nova-cup. VYS offers full-day and half-day summer camps for House players. Registration is open! Read more and register today.